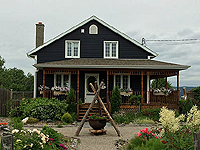 Before the deck construction, demolish the old deck. 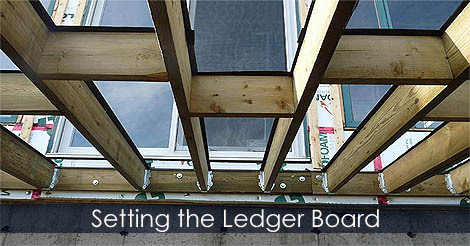 Planning deck materials and attach the ledger board to the house rim using lag screws, hex head bolts and washers. After this step, install joist hangers. 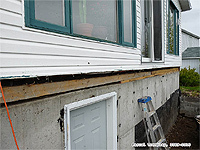 Learn how to demolish an old deck and install a deck ledger board to house.